Gerardo Martin Vasquez, 52, accused of stabbing another man in Simi Valley on Friday, Feb. 4, 2017. SIMI VALLEY, Calif. (KABC) -- A desperate search was underway Saturday for a man accused of stabbing his roommate in Simi Valley and putting him in a coma. 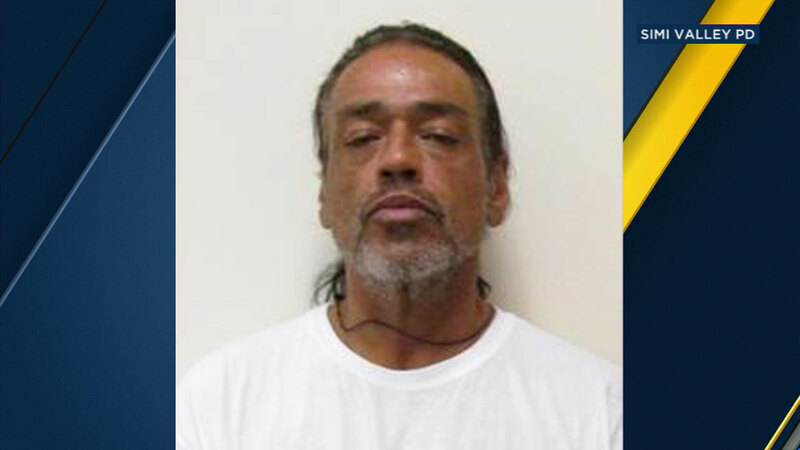 Simi Valley police said 52-year-old Gerardo Martin Vasquez stabbed the 32-year-old victim Friday night at their home in the 200 block of Ulysses Street. The victim, whose name was not yet released, suffered life-threatening stab wounds to the torso and was in a medically induced coma, police said. Investigators said the stabbing may have been an unprovoked attack on the part of the suspect. Authorities said Vasquez fled the scene on a bicycle before officers arrived. He is described as 5 feet 5 inches tall, about 180 pounds with black hair and brown eyes. He was last seen wearing a white shirt and black pants. The knife used in the stabbing wasn't located, so Vasquez should be considered armed and dangerous, Simi Valley police said. Anyone who sees him should not approach him. They're urged to call 911.